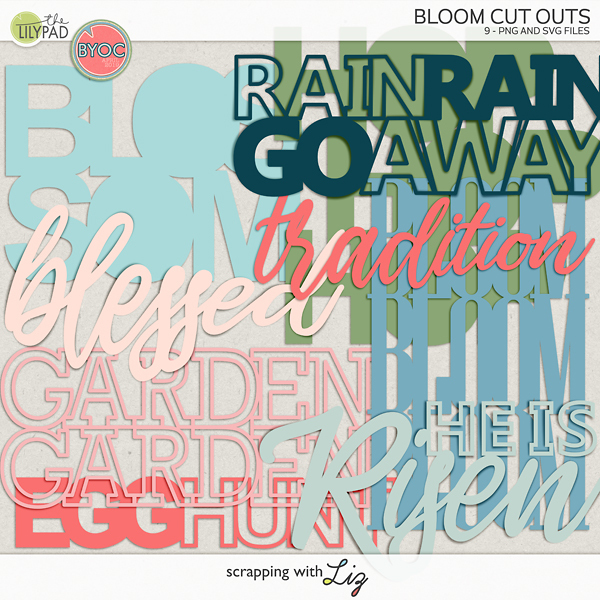 Scrapping with Liz: Week 13: Dad, Spring Break & Snow? This week...what can I say? It was kind of an off week with spring break and sickness. I'll just let you read the journaling below. Photography Tip: Make sure you take both portrait and landscape photos throughout the week. I only took landscape photos this week (which is quite unusual for me). Thankfully, I was still able to make the one bath time photo work in the portrait photo spot. 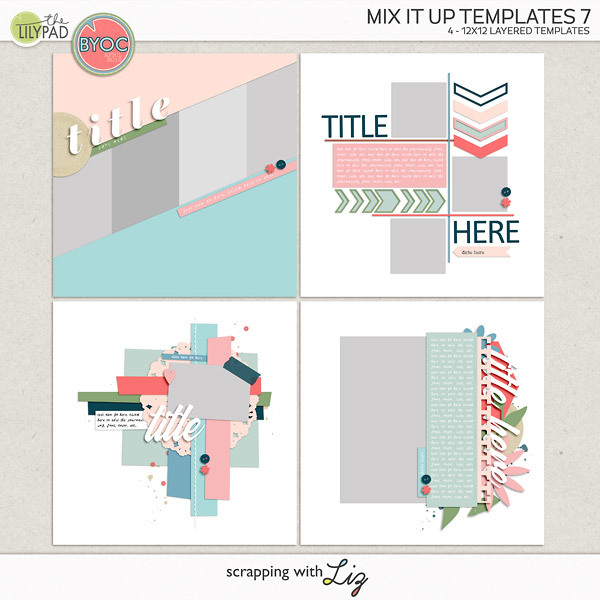 Scrapbook Tip: So far, in my Daily Life Pages, I've been using kits that have themes to do with everyday life, documenting, recording, etc...This week as I was browsing my digital scrapbook kits I thought the I Heart Dad kit from Dream Big Designs and AH Designs would work perfect for a couple of my photos since Daddy was in them. I think it's going to go great with the rest of my pages. 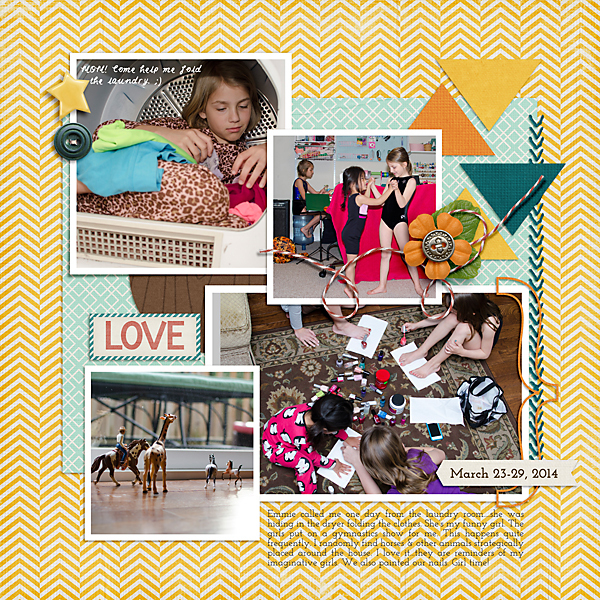 My tip for you is to browse your digi-stash and find a kit that works with the photos you are documenting for the week. It doesn't have to be an everyday type kit. Journaling: This week we took a little break from school...although I don’t know if you could call it “spring break” as we had SNOW! Lydia was also sick all week with a fever & cough. We had a lot of down time. As soon as Daddy would get off work Lydia would want to snuggle with him on the couch. I also captured a pic of Daddy doing bath time. He does that every once in a while...he’s a GREAT dad & husband. Journaling: Emmie called me one day from the laundry room....she was hiding in the dryer folding the clothes. She’s my funny girl. The girls put on a gymnastics show for me. This happens quite frequently. I randomly find horses & other animals strategically placed around the house. I love it...they are reminders of my imaginative girls. We also painted our nails. Girl time! And here's your free Daily Life Card Template. 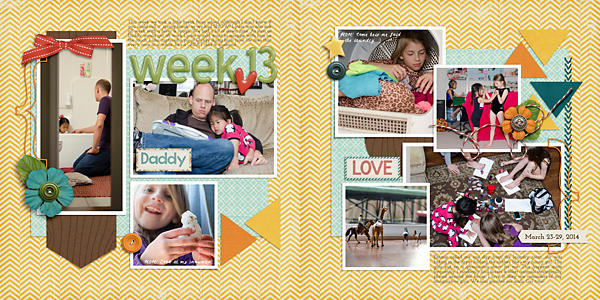 It'll work perfect for documenting a favorite memory from the week. Hi Liz, I am really enjoying all your weekly spreads! I haven't purchased any templates in quite a while (since starting Project Life), but I'm gearing up to do a lay flat book of our Disney trip, and decided I needed some good 2-pagers. :) I am thinking these might do the trick! I love that they all go together and can be mixed and matched. 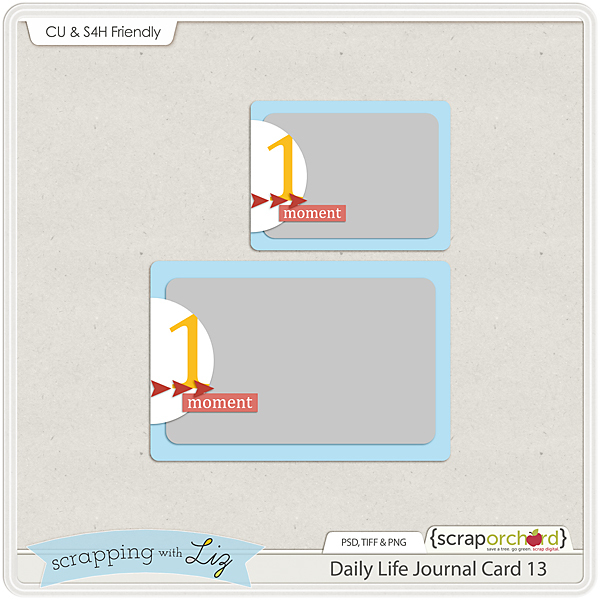 And, I love all the journal card templates you've been sharing - and all your tips too! :) Thanks! Thanks for sharing your weekly LOs - so much happens in one week, it's inspirational to see how you select photos to highlight your week. thanks also for the journal cards; I love them! you are a very talented and generous person, always with a present for us, which I love and use a lot in my LO's. thanks!